Bake cookies for about 11-14 minutes. Remove from oven and let cool. Place cookies into a food processor and process into fine crumbs. Add 3 to 4 tablespoons of cream cheese to crumbs and process until mixture comes together. Roll cookie dough mixture into 1-inch balls, place on baking sheet. The place in refrigerator for 30 minutes to chill. 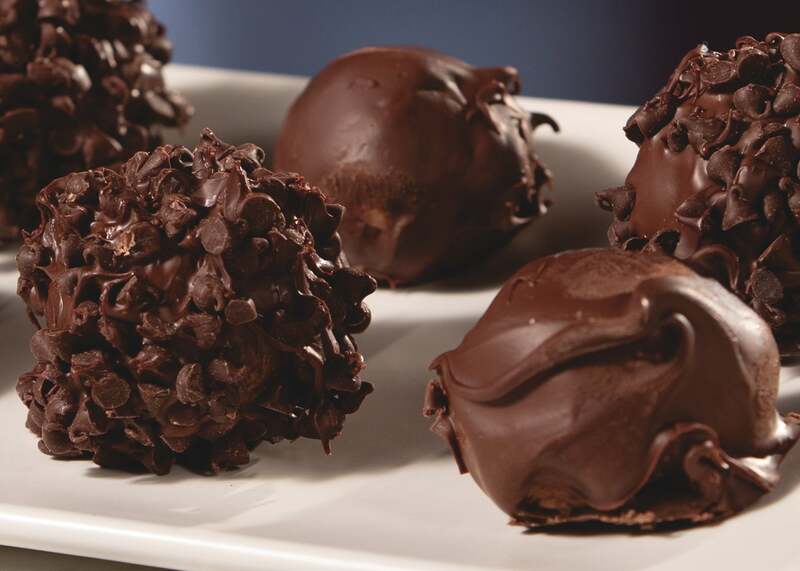 Melt chocolate and dip balls into chocolate, then return to baking sheet to set.